While technology has re-engineered huge swathes of our daily lives – the higher education sector has been much slower to adapt. However, as educators recognise the wide array of opportunities it presents – not just for students, but for the business of education too – that is starting to change. The use of digital tools such as augmented analytics will allow teachers to gather student insights far more quickly, in turn helping to shape a more personalised experience that reflects the preferred style and pace of individual learners. Augmented and virtual reality is already sweeping the consumer market and it stands to provide more immersive experiences for higher education students too, particularly as more free and affordable apps come on to the market. Virtual reality tours of world museums, augmented reality tours of the natural world and the use of gamification tools – facilitate opportunities for students to experience their field of study first hand, create their own knowledge and improve their imaginative reasoning, problem solving skills and creative knowledge. The application of IoT will boost efficiency in education. From printers and equipment that can re-order consumables and predict maintenance, to sharing data about students’ grades in real time and collecting information about students’ homework habits – greater use of IoT will help educators to put more focus on the act of teaching, not administration, as well as improve savings, time-scales and faculty workload. As educators begin to embrace digital transformation, they will need to create digital campuses and take a closer look at how they blend their digital and physical learning experiences and environments. More tech-integrated and flexible spaces will take the place of traditional classrooms, offering students the opportunity to switch between individual and group work with ease and supporting them in their new tech-enabled learning behaviours. 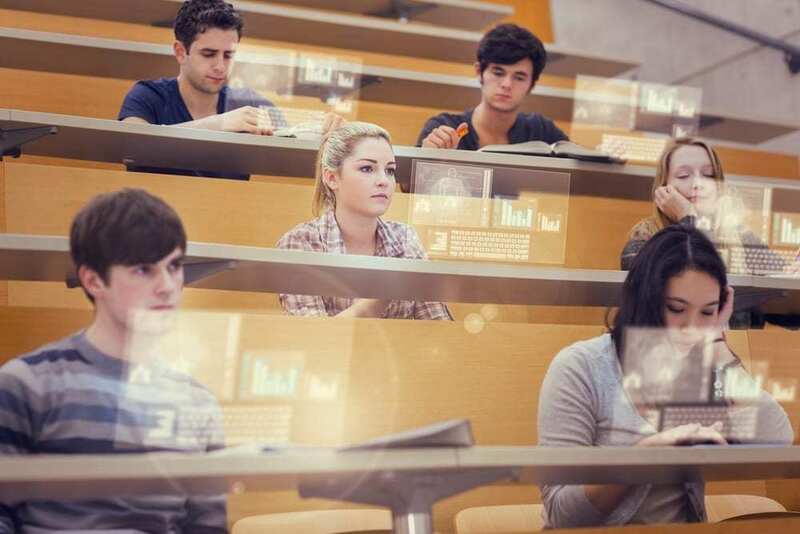 Information security is a major priority for higher education institutions and figures show that attacks from malicious outsiders seeking vital student data are on the increase. While efforts to improve digital citizenship amongst students are already underway, the focus will now shift to educators themselves as they improve their digital skills and strive to match the security and digital-know-how of large corporate organisations. There will be greater focus on ensuring the right security protocols and technology controls are in place to protect servers, ensure secure printing and the safer storage and dissemination of student data. Today’s students are digital natives. They have grown up surrounding by intuitive technology and expect to see their digital appetite and skills reflected in their educators at both an institutional and individual teacher level. However, before universities embark on change and invest in new digital tools, software and services, it is important to remember the value of devising a strategy based around the end-user experience and the institution’s digital vision. Digital transformation powers innovation, delivers operational efficiency and reinvigorates the learning experience – all vital to creating a digital campus that is worthy of future students’ investment. As universities strive to compete and deliver a new generation of digitally-fluent talent into the world of work, it is crucial to embrace digital change now.